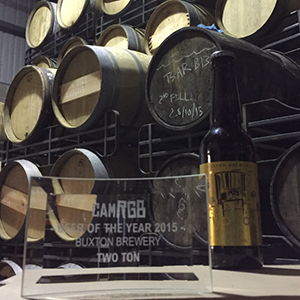 Buxton’s trophy snuggles down in front of lots of lovely barrels. 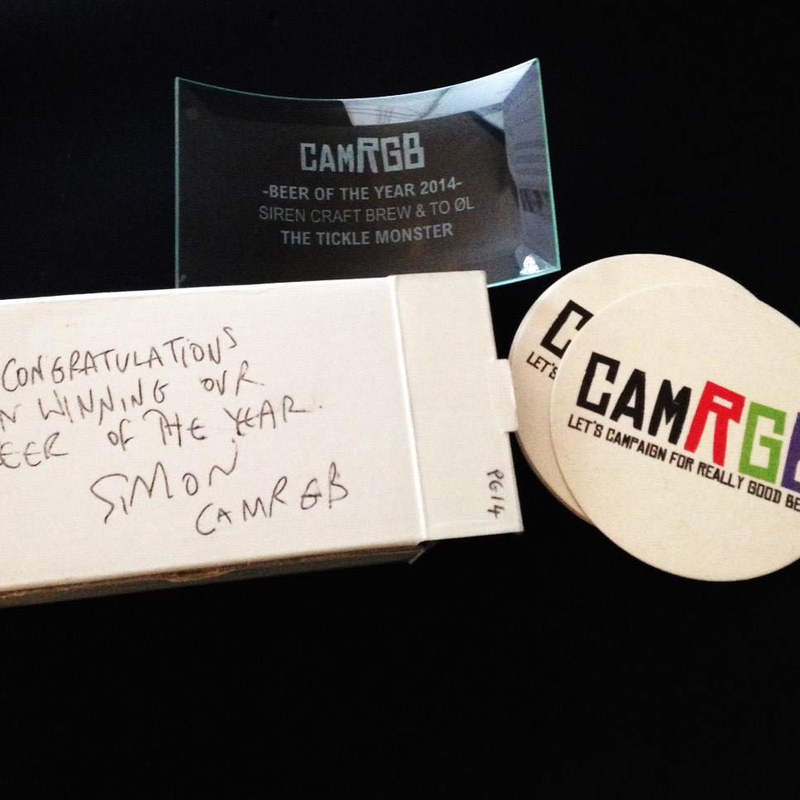 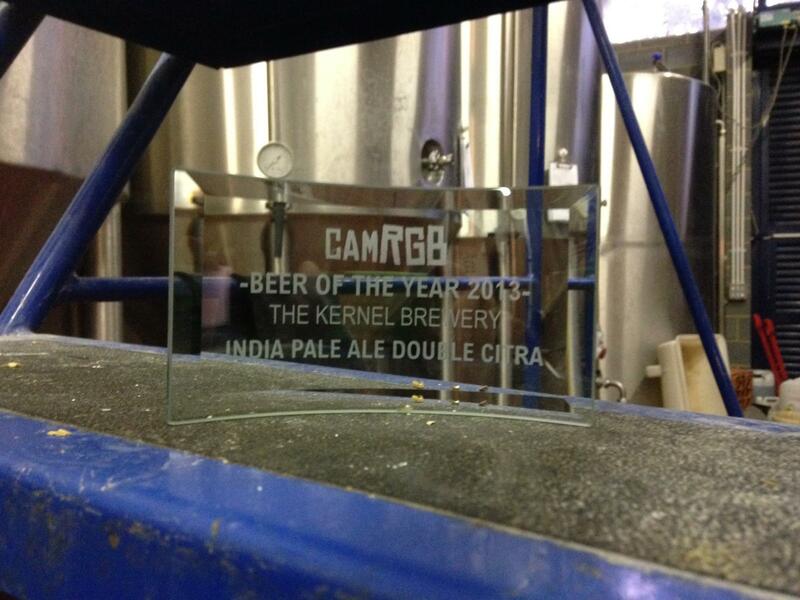 Kernel’s 2nd CAMRGB award making itself at home. 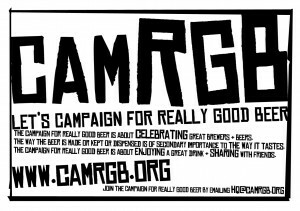 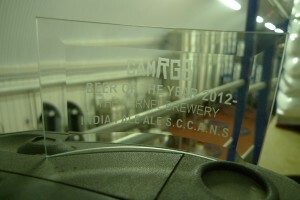 2012: THE KERNEL – IPA S.C.C.A.N.S. The Kernel Award in the Brewery. 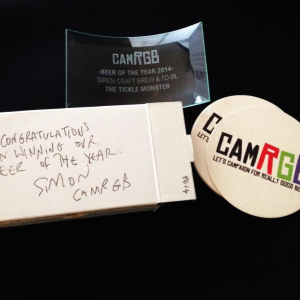 Thanks to Nik for the photo. 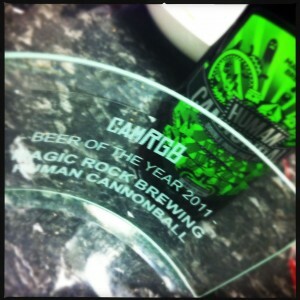 The Magic Rock Award in the Brewery.